Swirling wine and doing the sip-and-spit is so passé for wine tours. Now oenophiles can spend the night in an actual repurposed wine barrel. A sweet museum focused on beets. 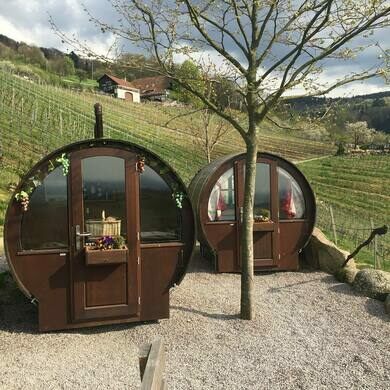 At the foothills of the Hornisgrinde Mountain in the Northern Black Forest, just outside of the wine-growing village of Sasbachwalden in Germany, there’s a tiny winery with an accommodation setup simply named Schlafen im Weinfass (“sleeping in a wine barrel”). Visitors can spend the night in one of eight 8,000-liter wine barrels that have been fitted with windows and all the accoutrements of comfortable living, including a bed, a modern bathroom, and a garden patio overlooking the vineyards. The barrels have indoor heating, and are available to reserve year-round. 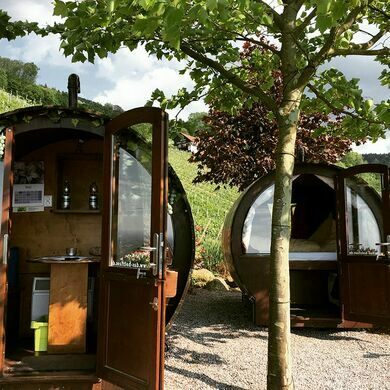 Guests get two wine barrels to themselves, one for sleeping in, and another with a living space and eco-toilet. Dinner and breakfast baskets are prepared by the Wild family, who own the vineyard and its vinous lodging places. As of February 2019, Schlafen im Weinfass has been dealing with some building permit issues, where local authorities are asking them to shut down two of their wine barrel rooms. The Wild family is gathering signatures for a petition to challenge these regulations. For now, all the barrels remain in operation. In fact, the barrels are so popular, visitors need to book well in advance. But if you can’t secure a spot in Germany, fear not, there are other wine barrel lodging options in the Netherlands, Portugal, and Walla Walla, Washington. 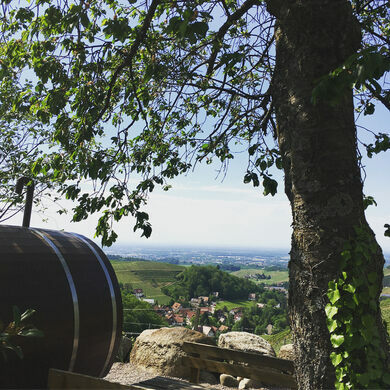 When you exit the village of Sasbachwalden, on the scenic Schwarzwaldhochstrasse (Black Forest High Road), look for a bottle on top of a stone, for it leads to the magical world of mountaintop wine barrel rooms. The barrels can accommodate only two guests at a time. This ancient ruined monastery has been destroyed by fire so many times that it seems like God hates it.